Atlas Roll-Off Corp has been in business for over 30 years and services the five boroughs of NYC. On time dumpster rental service, no waiting around for the roll-off containers while your crew sits. You can dump your demolition debris yourself at our green disposal facility using your van, pick-up or dump truck and rental service truck. Stone, sand and topsoil delivered by the dump truck load. All are welcome. 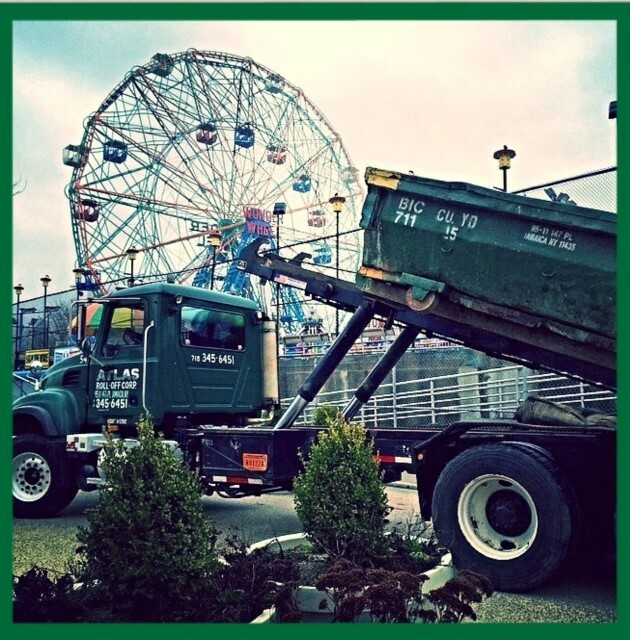 Please contact us today to learn more about the dumpster rentals and other services we provide to those in NYC, Brooklyn and Queens. Call for Pricing 718-345-6451 and get your free quote today.